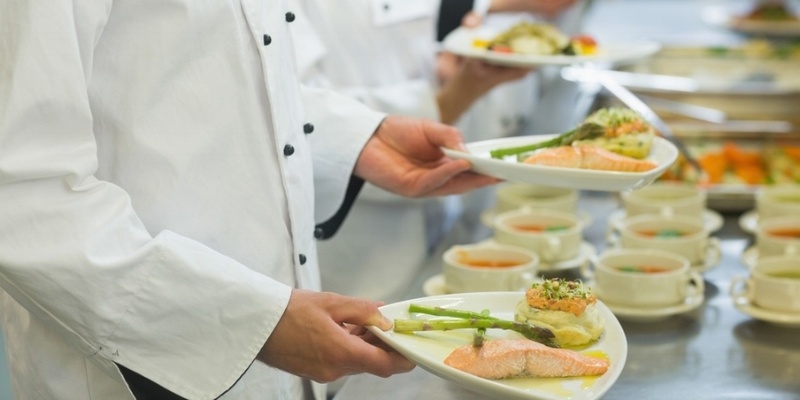 You know you should make those changes in your restaurant, so why don't you? Change is a fickle thing. While it calls to us on a deep level, it's also quite resistant to being caught. In that realm, change is kind of a hypocrite, isn't it? When you try to make changes in your life, sometimes your restaurant pushes back. Why? Because you have a few negative habits that are resistant to allowing change to happen. Those habits you and your team have run deep, so it's going to take more than a memo or a one-hour workshop to expel them. To conquer your habits, you have to first understand why change is so hard to achieve. Whether it's justified or not, fear is a powerful enemy to change. Why? Because fear can lead to feeling overwhelmed to the point of inactivity. That trepidation of the unknown can be paralyzing if we allow it to be. Here's a common example: Why don't you train your team more? Fear says, "If I invest in training them more and they get better skills, they will take those skills to another restaurant." That is a false assumption! The real fear you must have is that if you do not invest in your team to elevate your food, service, marketing, and leadership, then your restaurant will never improve. Meanwhile, your competition will adapt tp out perform, out sell, out market, and out train you. That's the cold hard truth. "Okay, I can see where investing in training the team is risky and there is a chance that some will take those skills and leave to another restaurant. Those that stay will become better and that will elevate the entire brand." Fear is natural. It's hard-wired into our brains as a survival mechanism. Fear just needs to be acknowledged and respected. It does not have to be obeyed. Face the fears you deal with in your restaurant, address them, and then do the opposite of what fear suggests. Being comfortable is dangerous for restaurants because the industry changes rapidly - sometimes very rapidly. If you are not adapting to keep pace - or better yet, to stay innovative and ahead of the pack - you'll quickly find yourself displaced in your own market. Your comfort zone is a place where all those bad habits in your restaurant hang out. They're like old friends, and no one really wants to get rid of an old friend, right? Especially if you've known them since the very beginning. Well, sometimes you must let go of the good to be great! These are some of those bad habits that are holding you hostage in your comfort zone. Remember when you said you were going to update your food cost spreadsheet and your pricing? You talked about it a few months ago, but you probably haven’t even started on it. Good intentions do not build outstanding restaurants. Actions and results do. Also, what kind of message does this send to your team when you fail to follow through on a commitment? You said you were going to ramp up your restaurant's social media marketing, so you get on Facebook and post regularly for a week. You get a little spike in business, but then you get too busy and forget to post for another week or two. Now, your guests following you start to tune out because your social media strategy is a little too sporadic to follow. People like a consistent message being sent across all your marketing activities. If you fail to deliver, don’t be shocked to find them at your competition who is meeting their needs. You know you should do sales projections and establish budgets, so why don’t you? Most likely, it is because it doesn’t appeal to you as a "fun activity." In my experience, most people who own and operate restaurants tend to be more on the “right brain” side where they like the creative, visual, artistic, and organized chaos elements of the restaurant. People who are “left brain” dominant tend to gravitate towards analytical processes, systems, strategy, and details. To find a balance in your business, you simply need to make sure you have people on your team that complement and can do those things that you might not be very excited about. Not having a plan because you are not very good at those kind of activities is a really lame excuse. All outstanding restaurants make a plan and then work that plan every single day. POP QUIZ: Want to find out quickly if you are right brain or left brain dominant? This is a very simple test: Put both your hands out in front of you. Now, clasp your hands in front of you interlocking your fingers. Which thumb is on top? If your left thumb is on top, then you are most likely right brain dominant. If your right thumb is on top, then you are most likely left brain dominant. You can even try clasping your hands and forcing the opposite thumb on top, however, it usually feels pretty weird and unnatural. Now that you understand some of the things holding you back from making the changes you need, let’s explore how to implement change in your life and your restaurant. Knowing why you need to change is one of your greatest assets, and that stems back to your mission statement, your vision, and your purpose. This is also known as your why. The biggest obstacle many restaurant owners and managers face is not connecting to a powerful enough why. Your restaurant's purpose has to be connected to emotions. I'm sure we could both think think of lots of logical reasons why the business should change, but logic does not move us to take action in the same way emotion does. Remember that change will push back and that sweet soft voice of your comfort zone will come calling. You have to be committed to staying the course. In other words, you must be persistent. This is especially difficult for restaurants. While you might be extremely committed to seeing these changes take place, the other people on your team might not share the same enthusiasm. Part of being persistent is making that persistence infectious among your entire workforce. Persistence also means being adaptable and making adjustments as needed. Of course, not everything is going to go as planned. You have to be ready for obstacles to rise up and challenge you. Thinking ahead and having contingency plans are the best way to circumvent these occurrences. Back in the 1950s, there was a plastic surgeon by the name of Maxwell Maltz who was so fascinated by human behavior. He found that it took a patient of his about 21 days to get used to seeing their new face after surgery. This is where the famous "21 Days to Break a Habit" myth started. The truth is that - on average - it takes more than two months before a new habit or change becomes automatic. Actually, 66 days to be exact. Can you see where a lot of people give up too easily when they don’t see their new behavior and affect after only 21 days? For some people, it may take even longer. Phillippa Lally is a health psychology researcher at University College London. Did a study published in the European Journal of Social Psychology, that showed it took anywhere from 18 days to 254 days for people to form a new habit. So, don’t beat yourself up too badly when you don’t see change happening quickly as you would like. Be persistent, but be patient. Habits truly do make and break restaurants. Habits are a reflection of the standards they set for their brand. Some habits are easy to start, like showing appreciation daily. It’s as simple as walking up to someone on your team or a guest and saying just two words…thank you.